1) Less plasticity. The plasticity of Aluminum alloy is greatly influenced by the alloy component and the forging temperature, and the sensitivity between plasticity and deformation velocity varies with the content of alloy elements. When the content of alloy elements increases, the plasticity of aluminum alloy decreases continuously and the deformation speed is also increased. Most aluminum alloys are positive strain rate sensitive materials, that is, flow stress decreases with the decrease of deformation rate. 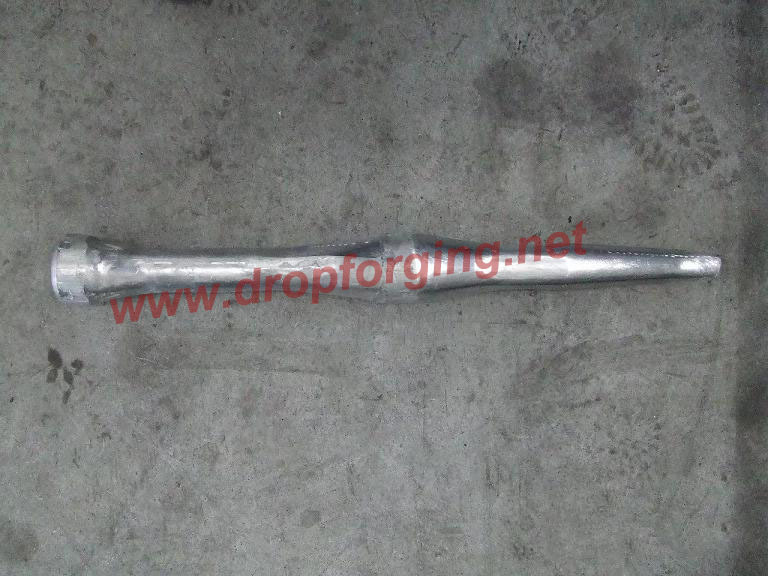 Therefore, for large aluminum alloy forgings used in aviation, they are usually formed by oil press or hydraulic press. For small and medium-sized forging can be manufactured by screw press or mechanical press. 2) Strong Adhesion. Because of the aluminum and iron can be solid solution, therefore, aluminum alloy often occur die sticking in the process of forging. It is generally believed that spindle oil can have good lubrication effect, in recent years, American companies such as Acheson, also developed aluminum alloy lubricant suitable for industrial application. Domestic aluminum forging companies also use oil-based or water-based lubricants, whose effect is very good also. 3) Narrow range of forging temperature. Most of the aluminum forging temperature range within 150 ℃, some even only 70 ℃, therefore, in the forging production, often needs to adopt the method of multiple heating to ensure that the aluminum alloy has a good malleability. 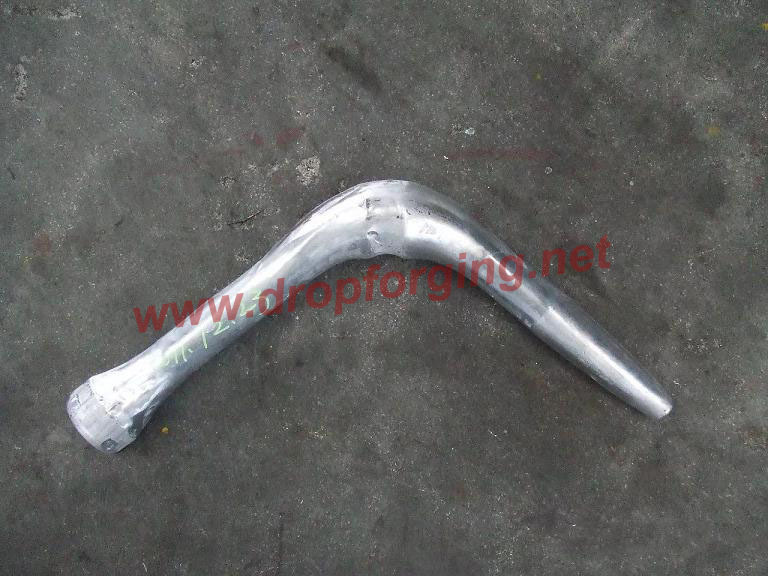 Especially for those forged components with district performance used in aerospace and military industry. 4) Small precedure deformation. 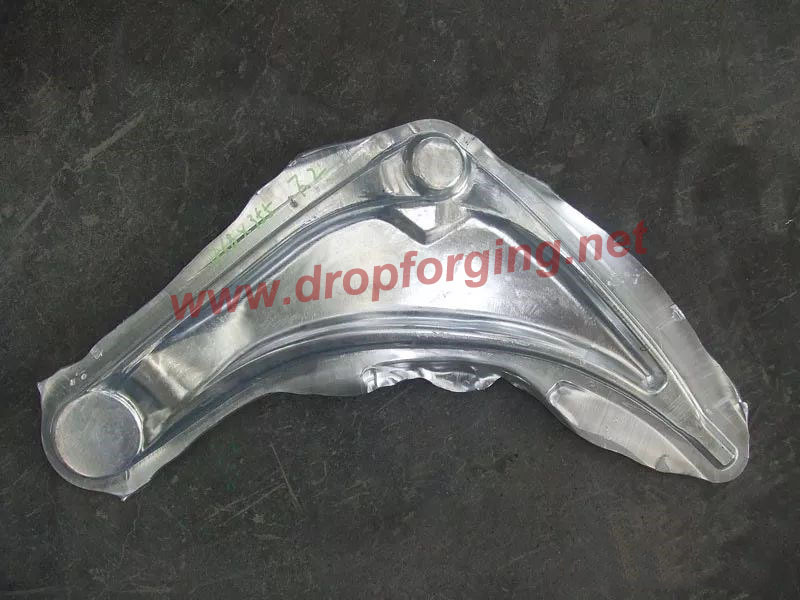 Aluminum alloy forging, generally does not allow less precedures and large deformation, lest cause coarse grain or cracks. Therefore, often need to distribute the total deformation. After several process, temperature of the workpiece is often lower than required forging temperature, therefore need to be heated again. Automotive forgings are required to be even lighter for further achieving environmental protection through fuel economy improvement, as well as safety feature enhancement and drivability improvement. Automotive arms are also required to reduce their weight and thus more aluminum is being adopted. 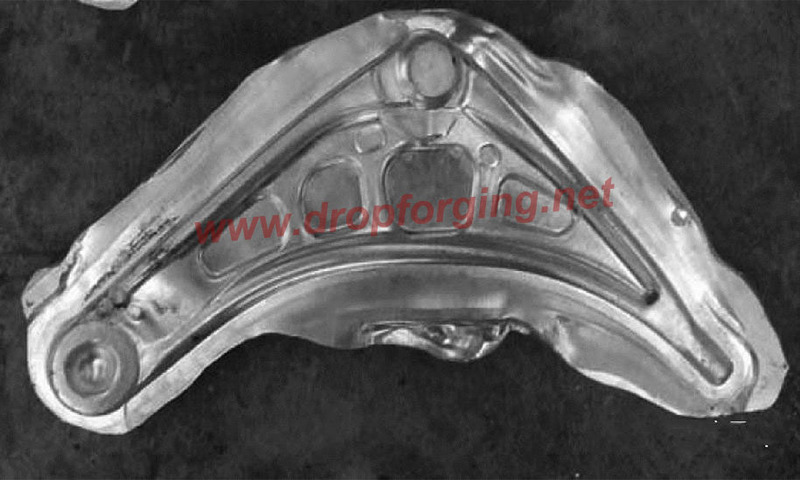 Aluminum forgings, in particular, are often applied because of their significant weight reduction effect along with their high reliability. 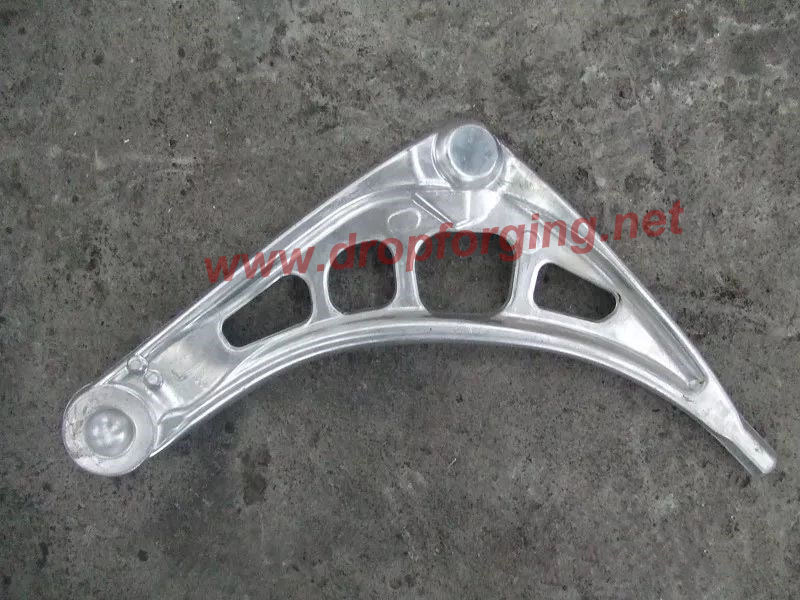 Fly Forge develops and manufactures aluminum suspension arms under the ISO/TS16949 management system, including PPAP which involves design analyses, prototype manufacturing and design verification through strength evaluation. 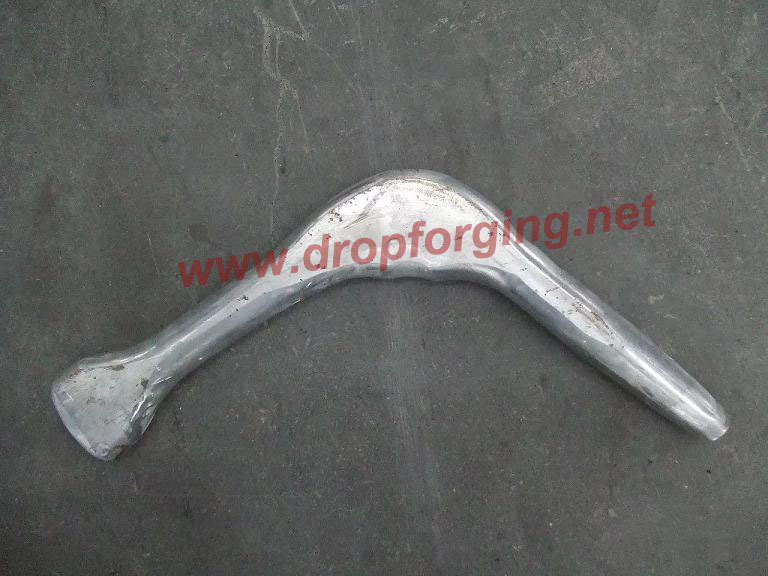 Recently, Fly Forge developed a automotive aluminum forging process, and on this basis, establish a aluminium alloy forging production line, automatic control arm has been handed over to customers to use.